Cynthea I hope this is your best year yet! 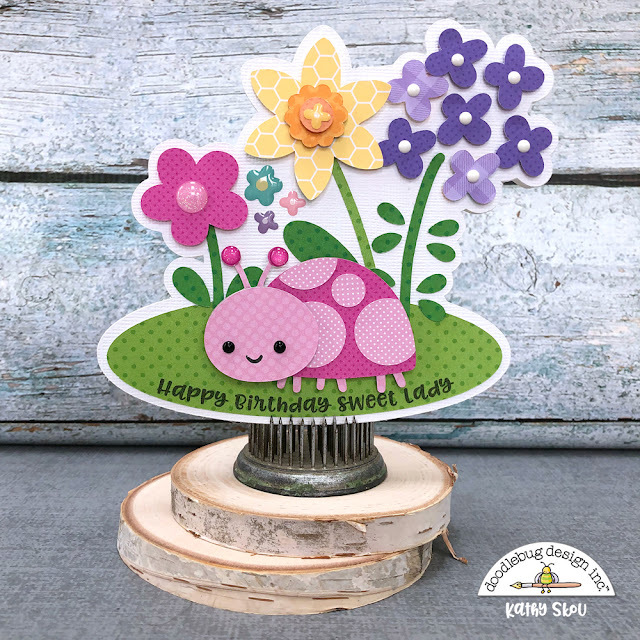 I created this fun shaped card using a couple of different cut files from the Simply Spring Collection, including the Simply Spring Fence (SVG;, Silhouette) and the Simply Spring Ladybug (SVG;, Silhouette). The sentiment was created using the print and cut function of my Silhouette. The papers are from a combination of the Simply Spring, Hoppy Easter and Petite Prints collections. And of course I had to add some sprinkles and a few of the Simply Spring May Flowers Sprinkles!